CHRYSOLITE BDA – a specialized tool for data storage optimized for accumulation and fast retrieval of CDR information about subscriber activities in telephone networks (PSTN, GSM/3G). “Traditional DBMS” approaches of creating data storages being currently used have been formed during the last ten years and are based on the use of the Hi-End class storage equipment with a general-purpose DBMS (Oracle, Microsoft SQL, some specialized – Sybase IQ, Greenwich, etc.). This leads to several million dollars cost of CDR storage (not including software licenses), while the cost of creating the storage is up to 90% of the cost for equipment in similar projects. All “traditional” solutions are based on a common architecture – a dedicated powerful server with a lot of CPUs, FC / SAN infrastructure, expensive storage controllers, a large number of disk bays connected to each controller, bays often connected to each other in cascade. As a result, the price for one terabyte is several tens of thousands of dollars. The downside of the use of such solutions simplicity is their extremely low performance – only up to 8 MB/sec (in rare cases) to load new Call Data Records to systems based on MS SQL/Oracle, up to 120 thousand CDR/sec (in rare cases) based on some specialized DBMS (while the hardware provides the speed ten times quicker). In both cases the annually increased amount of subscriber activities (and also requirements for data loading) and the need of permanent storage capacity growth encounter the overwhelming technical barrier for their modernization. At some stage, the cost of storage expansion based per each terabyte starts to exceed multiplied costs of the previous stages, while the speed of queries performance for the retained data in storage falls sharply below the minimum acceptable one. Specialized hardware and software and columnar DBMS that have found a widespread use in analytical reporting for telecom and banks (Teradata, Vertica) are designed primarily for a small amount of data extracted on query with complex logic of their calculation and issue of summary aggregated data. Obtaining the original records from storage encounters significant computational resource expense while assembling them from the columns they were split during data loading process (which itself may significantly exceed the search time). The aim of search activities on the contrary is to obtain all the information about each subscriber activity on any request without any restrictions on the number of records in query result. Another alternative is the use of systems based on HBase/Hadoop which involves the growth of the amount of required hardware (electrical power and number of racks) in a geometric progression, maintenance of each system requires the constant presence of engineers, each system is unique. As a result the target customer had only to accept the situation where there were no alternatives and cost-effective ways of organizing high powered CDR data retention storage that can satisfy the real operational needs. 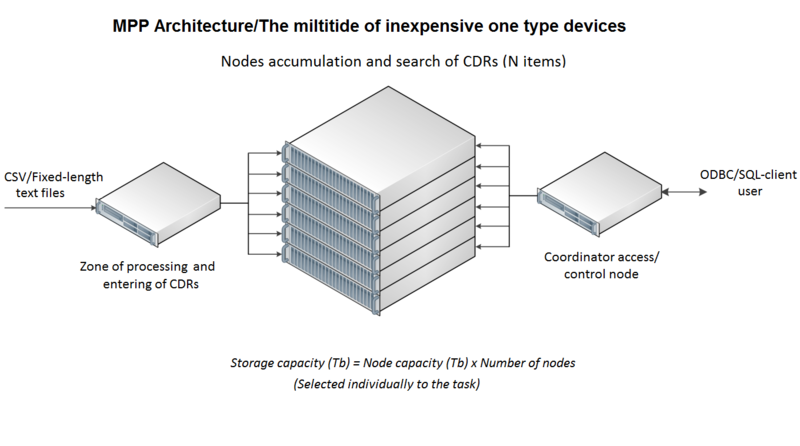 In the CHRYSOLITE Big Data Appliances, the SNTT company presents a new, efficient approach to implementing high-performance systems for special storage and retrieval of information in the CDR. Significant disk space saving compared to analogues. The growth of the number of subscriber activities in telephone networks is up to 30% annually that requires continuous improvement of information retrieval systems of CDR processing. All this is happening as the storage technologies and DBMS, that have shown their effectiveness over the past 5-10 years, did not survive the attack of the increasing amount of data, query performance requirements and lost the achieved position. At the same time, an approach that has proven its effectiveness is long-term accumulation of CDR data gathered from different operators in one information system, and its simultaneous processing of retained CDR data. 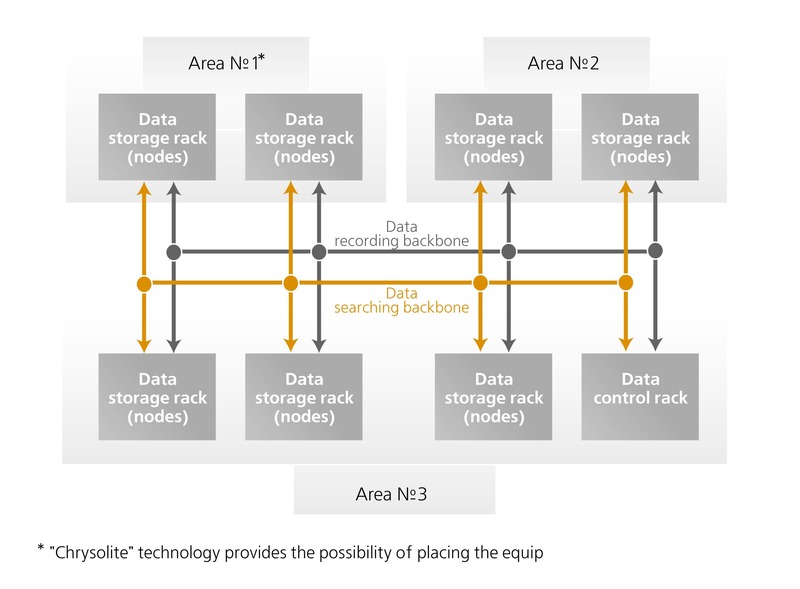 The SNTT company offers a modern approach to the practical implementation of high-performance storage and information retrieval of CDR – the CHRYSOLITE BDA. MPP – architecture is a linear list of nodes sequentially filled with data. 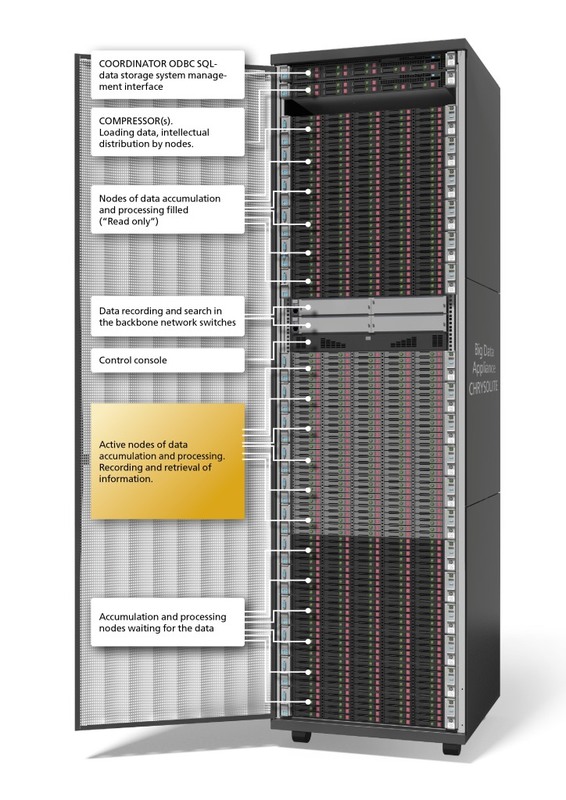 During the operation of the data loading system, record (intelligent data distribution) goes simultaneously in N nodes – “recording window” after filling the system goes to the following nodes. **** – in accordance with the daily amount of information depending on the model (4 … 7 billion CDRs/24 hours). the lowest market price for 1 TB of capacity. Automatic deletion of accumulated CDR of oldest periods, loop recording of the new incoming information (round-robin). OS Red Hat Enterprise Linux. Loading and indexing of CDR data at the speed of 100-400 MB/sec (0,8 Gbit/sec … 3 Gbit/sec) depending on the model. The SNTT company helps its customers with the development of the storage technical solutions not included in the basic models. Maximum available CDR storage size of 20 PB corresponds to 20x42U system cabinets. * – the assessment of as much information as possible per day. As a permanent archive of the selected information about CDRs of subscribers in monitoring centers. The customer requests an appliance model, depending on the objectives of a specific project and integrates it into its own hardware and software infrastructure. The SNTT company performs selection of models, assembly, design of the database structure for a specific task of the customer, testing, and assists in the integration of the storage in the hardware and software infrastructure of the customer. Highly qualified SNTT specialists and the unique experience gained in implementing CDR storage systems provide the best consulting and methodological support of the projects. 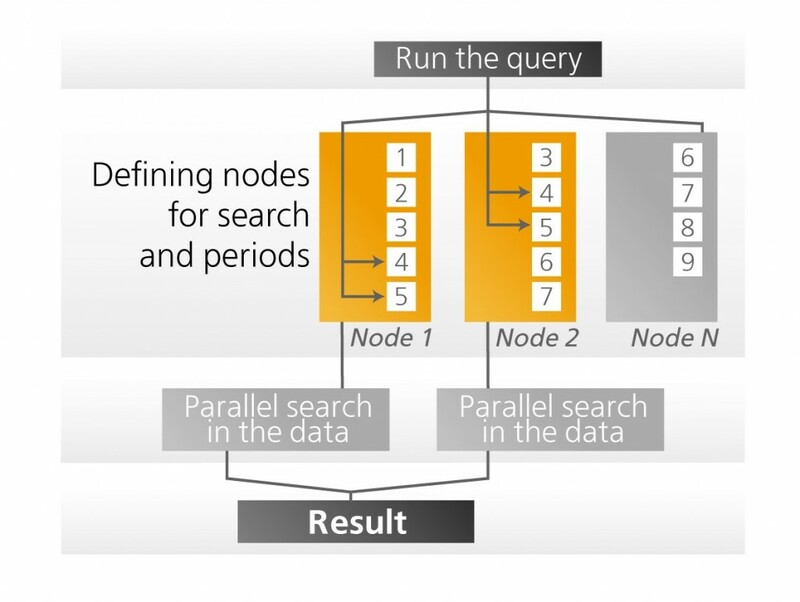 * in the case of dividing the data into N nodes when recording (“window”), the search speed increases linearly in N times / determined by configuration at system installation stage, query run time in the table includes query fetching result and writing it on external CSV-text files, i.e. a full result. SNTT Company participated at the world’s largest Event in the sphere of Information Security – ISS World Europe 2018. © 2013 - 2018 Copyright by SNTT Company. All rights reserved. Using information from this site without our consent is prohibited.